Did you know we have 4 Faculties and 13 Schools at Coventry? Covering loads of different specialisms, from car design to forensic science and even international law, we’ve got you covered for whatever you want to study. Here at UnCOVered we’re taking a closer look at our faculties to show you just what we’ve got on offer, and this week, we’re starting with the Faculty of Business and Law! By joining our students, you’ll become a member of our Business and Law community which is a hot ticket any VIP would be proud of! We like to compare our Business School to the Avengers: we’re a team of experts with different superpowers, we aim to make our students feel they can take on the world and, well, we mean business! Our Trading Floor is probably bigger than yours… in fact it’s the largest academic Trading Floor in Europe! It hosts 42 dual screens with Bloomberg terminals and monitors showing the latest business news and stats. It’ll give you a glimpse into what it’s like to work in financial industries – and you don’t have to suit up like the Wolf of Wall Street to give it a go. Order! Order in the court! 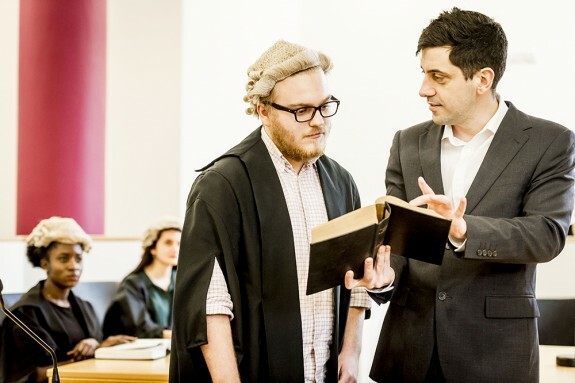 Coventry Law School stands trial for delivering top quality education for almost 50 years! 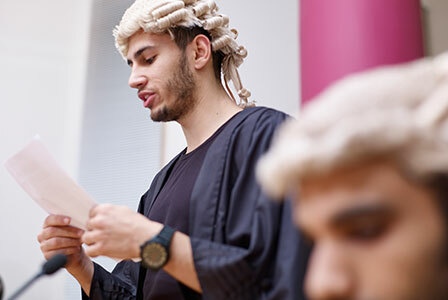 Students receive a hands on experience at Coventry as they can put their study into practice in our Moot Room, a mock courtroom complete with wigs and gowns. We hold an annual mooting competition where students present their arguments in a mock appeal – and your parents told you arguing would get you nowhere! Let’s not forget we also have our own student-lead law clinic and all undergrad courses have the option for a year abroad, so you’ll never run out of things to get involved with. We understand that a degree is the first step towards building your career and your future, which is sometimes hard to imagine when you’re a fresher. And our employability focus isn’t just for our undergrads! We know we need to help our postgraduate students develop leadership skills to face our ever-changing world, so we’ve partnered with the Chartered Management Institute to deliver the Global Professional Development module on a variety of our courses. 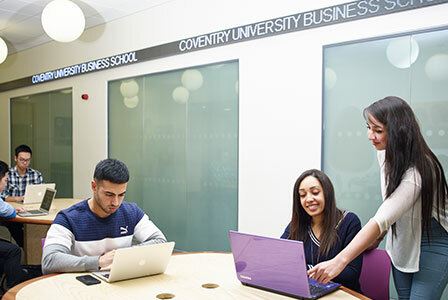 So whether you’ll be pulling on your judge’s robes, shouting “BUY, BUY, BUY!” at the stocks, or creating your own business empire, you are consistently encouraged and supported here at Coventry University. If you’d like to see what courses in this faculty are available to you this Clearing, check out our courses list. Clearing, Excited, Inspired, Join Us, Postgrad, Undergrad, Why Cov Uni?